Several readers and businesses Asked me to go over WordPress in greater detail. In response to the requests, I am dedicating all my blogs in February to WordPress, its ins and outs, and other information about it that many people may not know. Many people have heard of WordPress. Especially since, as I have stated several times, it is the back bone of 23% of websites around the world. It is for more than just blogs. But what is WordPress? WordPress is a PHP code platform used to create and manage web-based content for people, businesses, and companies. Or in a more simple term, WordPress is an easy to use content manager that is incredibly powerful and open sourced for everyone to use. WordPress is user-friendly. WordPress allows for user to set at one of several levels based on what they do. Developers usually have the admin role and make changes to the coding, appearance, and function of the site. Editors oversee content, media, and blog posts. Author roles may only be members who write blog posts, they would use the author role. Lastly, Subscribers are the last role. Subscribers can’t write or change content, upload pictures, or post videos. It can remove a lot of the clutter from the admin panel, and make it more streamline for the user to do what they need to do. This also makes it very easy to teach to new users. With all these people using WordPress surely, a well known company uses it, right? Actually, several do. 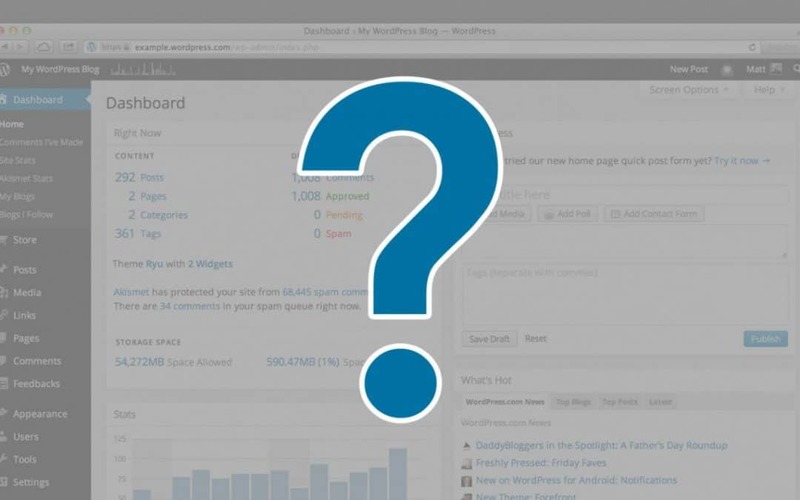 Who uses WordPress for their site? Although it may have started that way, WordPress has become more than just a system for bloggers in the local coffee shop. WordPress is constantly increasing in use and capability. How do you get started with WordPress? There are many options for getting started with WordPress. The best option is to meet with Mr. D Studios and discuss getting started. (Had to do a shameless plug.) Aside from Mr. D Studios, there are many options to get started. Downloads for self-hosted installations are at WordPress.org. It can also be used via WordPress.com. However, many hosting companies (Godaddy, Ipage, Blue Host) offer a one click install that handles the install for you. WordPress one click installs are great. They allow you to set up a WordPress site, with either automatically generated logins or a custom username and password. Either setup emails the information to your inbox. So are you ready to use WordPress to organize who you are online? Dylan “Mr. D” Roush is a graphic design professional with over 6 year experience. Based out of Pittsburgh, Mr. D specializes in WordPress design, print design, typography and illustration. It’s Not Your Service, It’s Your Expertise.